FUEL EFFICIENT 26 MPG Hwy/17 MPG City! CARFAX 1-Owner, GREAT MILES 41,338! Nav System, Moonroof, Heated Leather Seats, Power Liftgate, Smart Device Integration, Remote Engine Start, Dual Zone A/C, Onboard Communications System, iPod/MP3 Input, Panoramic Roof, LUXURY PACKAGE READ MORE! Navigation, Sunroof, Panoramic Roof, Power Liftgate, iPod/MP3 Input, Onboard Communications System, Remote Engine Start, Dual Zone A/C, Smart Device Integration, Cross-Traffic Alert, Blind Spot Monitor. Rear Spoiler, MP3 Player, Privacy Glass, Remote Trunk Release, Keyless Entry. LUXURY PACKAGE Revel Ultima Audio w/19 Speakers and HD Radio, Adaptive LED Headlamps, TECHNOLOGY PACKAGE Active Park Assist, 360 Degree Camera, Front Park Aid Sensors, WHEELS: 21 PREMIUM PAINTED ALUMINUM Tires: 21 All-Season, CLIMATE PACKAGE Heated Steering Wheel, Heated Rear Seats, Automatic Rain-Sensing Wipers, Auto High-Beam Headlamps, HAZELNUT, PREM LTHR-TRIMMED HEATED/COOLED BUCKET SEATS (BH) micro perforation, 10-way power driver/passenger seat w/2-way power lumbar and memory and 4-way manual adjustable front headrests, ENGINE: 3.7L V6 TI-VCT (STD). 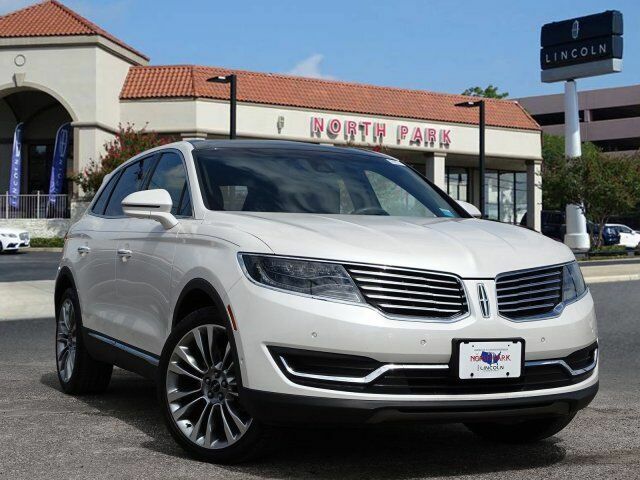 Lincoln Reserve with White Platinum Metallic Tri-Coat exterior and HAZELNUT, PREM LTHR-TRIMMED HEATED/COOLED BUCKET SEATS (BH) -inc: micro perforation, 10-way power dr interior features a V6 Cylinder Engine with 303 HP at 6500 RPM*. Edmunds.com explains The backseat is notable for being able to seat three adults in reasonable comfort, thanks in part to the standard reclining rear seatbacks.. Great Gas Mileage: 26 MPG Hwy.